Attorney William C. Makler has been working in both State and Federal criminal justice as a lawyer and a member of law enforcement since 1989. He has been practicing law in California since 1996 and is licensed to practice law in all the courts of the State of California, and the Eastern and Central Federal District Courts of California. He is a graduate of the University of California at San Diego and Pacific McGeorge School of Law where he was awarded honors in trial advocacy. Mr. Makler has represented thousands of DUI defendants on the Central Coast and elsewhere and, by doing so, he has achieved mastery in every aspect of DUI defense including, but not limited to, pretrial motions, jury trials, appeals and DMV hearings (as well as writs and appeals from adverse action by the DMV). Mr. Makler was on the faculty of the Santa Barbara & Ventura Colleges of the Law (2006-8) teaching evidence. Prior to becoming a lawyer, Mr. Makler worked for the University of California Police as well the Palo Alto Police, the American Civil Liberties Union and Death Penalty Focus. 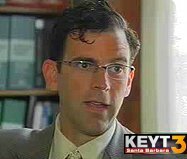 He worked as a courtroom litigator and research attorney for the Federal Public Defender in Sacramento and was a Felony Deputy Public Defender for both the Santa Barbara and Santa Cruz County Public Defender Offices. Mr. Makler is an active member in good standing of the California Bar Association, the California Public Defenders Association, the Santa Barbara Bar Association, the Santa Barbara Criminal Defense Bar Association, the National College for DUI Defense, Inc., California Attorneys for Criminal Justice and California DUI Lawyers Association. He has for years running been rated a 10.0 out of 10.0 and “Superb”, the highest possible rating, by the leading online lawyer rating website. As well, Mr. Makler is rated A-V “Preeminent”, which is the highest possible rating given to lawyers by Martindale Hubbell, the industry leader in the rating of lawyers’ professional abilities and their ethical standards. Having gone through an extensive peer review examination by lawyers and judges, Mr. Makler has been recognized as having the highest standards of professional excellence and impeccable ethics. To read what his clients have to say about his work, read a growing number of impressive reviews written by actual clients (not web marketers) at avvo.com. To read commentary by Mr. Makler on a variety of criminal justice topics, visit his Santa Barbara Lawyer Blog. "Know Your Rights", Embarcadero Hall, Hosted by Associated Students at UCSB, October, 2004. "DUI Defense", Santa Barbara College of Law, Guest Lecture, Summer 2005. "Scientific Evidence in DUI Defense", Santa Barbara College of Law, guest lecture in Advanced Evidence, Fall 2005. "Avoiding and Minimizing DUI Consequences", Bench & Bar Conference, given at Santa Barbara City College for MCLE credit for lawyers and judges, January 2006. “Law of Evidence”, Santa Barbara College of Law, Law School Course, October, 2006 – May, 2008. "Know Your Rights", Embarcadero Hall, Hosted by Associated Students at UCSB, October, 2007. "Know Your Rights", Embarcadero Hall, Hosted by Associated Students at UCSB, October, 2008. "Know Your Rights", Embarcadero Hall, Hosted by Associated Students at UCSB, October, 2009. Call us now at (805) 892-4922 for a free, no obligation consultation, or fill in your information in the contact form to the right and Mr. Makler will get back to you as soon as possible, frequently within a few minutes.